Greenville, OH Members of the Greenville Business & Professional Women’s Club (BPW) invited local author Jodie Bohman to speak about writing her first book And I Believe. The Individual Development Committee of the BPW Club hosted the November 8th meeting which was held at the Brethren Retirement Community. 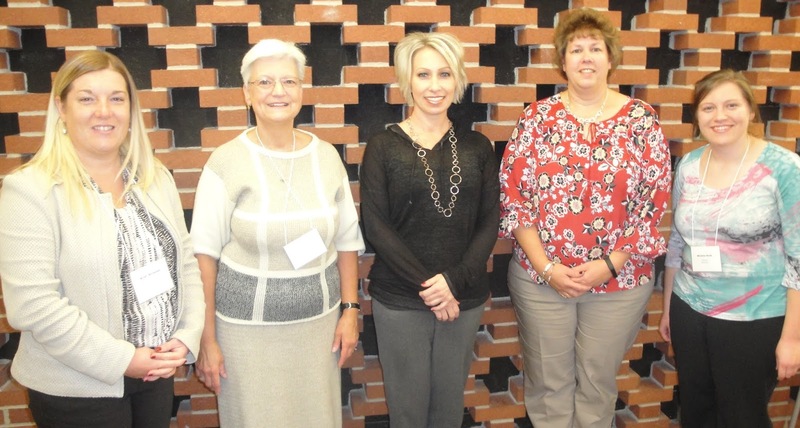 The committee consisted of Chair Dorothy Poeppleman and members Michelle Hook, Kristi Strawser, Louisa Kennedy, Jane Carroll and Erica Menke. Jodie stated she has a creative imagination and loves to draw. She started writing her first book, And I Believe, in 2004 with it being published in 2014. While the story is made up, she knew way too many people who have fought cancer, are currently fighting cancer or have lost their battle with cancer and wanted to write a story about it. Bohman was not ready for the story to end so started her second book entitled Mattie which took her 2 years to complete. This book picks up 19 years where And I Believe left off. She is in the process of writing her third book entitled A Bottle Full of Demons to continue the series. Bohman never took a writing class as she wanted to be an art teacher or decorate homes. She encourages everyone, “if you have something to say, say it. Do your research, be original and take the time to do it right”. Her future goal entails writing a children’s book. For more information about Jodie and her published work check on the web at jodierichardbohman.com. Members are currently making plans for the upcoming ‘Breakfast with Santa’ which will be held at 9:00 AM on Saturday, December 1, 2018 at the Greenville VFW. The public is invited to help with collections to the Darke County Shelter from Violence. Gently used or new stuffed toys, paper products, shampoo and conditioner, Tide laundry soap, kitchen trash bags, diapers, family oriented videos, and cash donations will be accepted at the breakfast. Also, Super Raffle tickets are still available at Merle Norman (downtown Greenville) or by contacting Debbie Niekamp at 419-305-2178 or dsniekamp@gmail.com or any BPW Club member. The drawing will be held at the December 13th meeting. The winner does not need to be present to win. Tickets are $2.00 each or 6 for $10.00. Proceeds from both events go toward scholarships for Darke County young women. The Greenville BPW Club’s mission is to achieve equity for all women in the workplace through advocacy, education, and information. The Club meets the second Thursday of every month for a dinner meeting. Those interested in learning more about the Club can contact Membership Chair Sonya Crist at sonyacrist@gmail.com or 937-423-3657.